This tyre features a patterned tread which rolls over looses surfaces with ease. It doesn’t lose any of its powerful traction or mobility thanks to its exceptional design. Its radial construction is steel belt protected, making this tyre tough and long lasting. 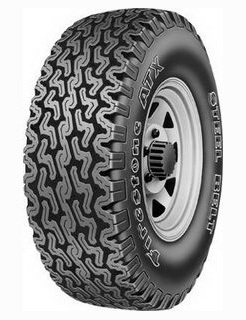 When used on-road this tyre is smooth and silent and provides excellent grip.